^^That's the card as it stands. They'll likely throw on a couple of rando fights and call it a day. In my opinion, this is the weakest PPV I have ever seen on paper. Never seen a more likely candidate for an entire card full of decisions. Never seen a card with five womens fights (potentially 85 long minutes worth) on it. Never seen them schedule so many quality fights for other cards and deliberately leave off people asking to be on this card, i.e. Ben Askren, etc. He manages both Cejudo AND Moraes. 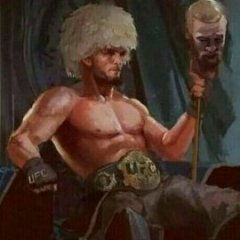 He consistently gets more money for his fighters, and I think he may have asked for more than the UFC believes they are worth (in regards to PPV points). In return the UFC is proving to everyone involved that these two don't sell PPVs by scheduling a terrible undercard that will neither put butts in the seats, nor sell PPVs. Just my theory. Maybe I'm wrong and this is going to become a pattern, and we'll get Invicta PPVs with a UFC logo on the screen more often, but I doubt it. Yeah, I'm not completely against women's fights but that is a bit too much, I don't mind one or two on the card but five is a bit much. I didn't even know Ali managed Cejudo and Moraes, that's interesting, dude is rolling in it ain't he and loving it no doubt. I guess we'll have to see how the event goes, it's like I was saying in another thread somewhere sometimes we get these cards that look really weak (like very average fight nights for example) yet sometimes we can turn out to have some surprising fights and they turn out really great (I always think of the Sandhagen fight on the Gaethje/Vick card for example) so I guess we'll have to see but it could very well be. Some good fighters on there but it's the match up's ain't it really and yeah, I do agree that five women's fights is a bit much, they could have spaced them out a little more over various fight nights or whatever. Aside from the main fight, this is a terrible card full of fighters i care nothing about. I love a conspiracy and this sounds like something that Baldie would absolutely do. He seems to love to "stick it to the man" that thinks they are worth more than they actually are. Cejudo and Moraes may be a good scrap. It has potential, but for a main event on a PPV in a big city, it is disrespectful. The rest of the card consists of a bunch of fillers that belong on ESPN+ leading up to a PPV no matter how you line them up. And as you mentioned, there were a handful of fights that aren't necessarily PPV savers, but would at least entice people to at least purchase the fight asking to fight in Chicago. We'll never know for certain, but wouldn't be surprised if you are on to something. Also, with July PPV and fight week the following month, they have their alibi. I didn't even realize tickets were on sale to this garbage. If you're looking to pay more than NBA playoffs tickets for a nap in a cramped seat during one of way too many womens fights, this event is the one for you! Its probably because Chicago is a ****hole, and doesn't deserve nice things. P5P theory, I gotta say it makes perfect sense. So long as at least twenty people turn up for the event live they'll recoup their losses with the ticket sales. Ali the terrorist gets put in his place at minimal cost. Winner winner, chicken dinner! I must say I like SOME of the fights on this card but this is NOT a PPV card at all!!! I think OP is right about baldy trying to *** with Ali. I wonder who/what casuals would lay 60 bucks on the table for this. I'd check out this card if I wasn't busy watching the WNBA for the first time ever.